What are the primary causes of insomnia? Stress. A reaction to change or stress is one of the most common causes of short-term and transient insomnia. This condition is sometimes referred to as adjustment sleep disorder. The precipitating factor could be a major or traumatic event such as an acute illness, injury, loss of a loved one, or job loss. Temporary insomnia could also develop after a relatively minor event like an exam at school, trouble at work or traveling. In such cases, normal sleep almost always returns when the condition resolves, the individual recovers from the event, or the person becomes acclimated to the new situation. 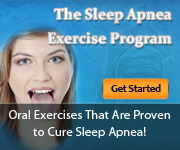 Treatment is needed if sleepiness interferes with functioning or if it continues for more than a few weeks. Medications. Blood pressure medication and antidepressants can cause sleeplessness in a person. The same is true for those that contain stimulants like caffeine. On the other hand, antihistamines may make you drowsy at first but will worsen any urinary problem you have and make you urinate several times during the night. Change in sleep cycle. You may be travelling through different time zones frequently or are constantly changing shifts at work. These erratic schedule changes your body’s circadian rhythm and will definitely mess up with your sleep. Learned Insomnia. Do you worry about not getting enough sleep that you fail to fall asleep in the first place? That’s learned insomnia and that is one cause of not sleeping well at night. What you take in your body. If you eat too much during dinner, chances are you won’t have a restful sleep. Why? If you’re too full, lying down to sleep may be uncomfortable. Those who suffer from heartburn will likewise be kept awake by the backflow of acid from their stomach. Taking in alcohol or caffeine, and/or smoking a few hours before bedtime can also affect the quality of your sleep since these stimulants will most likely keep you awake. What role do hormones play in insomnia? What role does menopause play in insomnia? What role does food play in insomnia? Food that you are allergic to should be avoided at all cost during dinner so you don’t end up scratching yourself the whole night instead of sleeping. Similarly, difficult to digest food or those that can give you gas like beans, cabbage, and cucumber should be minimized.